Vitality improves the quality of life for millions of people around the world through their interactive and personalized wellness programs. Personalized wellness requires specialized and individual attention for each member. With a broad and complex network of hundreds of brokers and client companies and millions of members, specialized personalized communication is not easy to come by. Vitality created the vision and the strategy to execute it, but was struggling to maintain the demands of personalization. 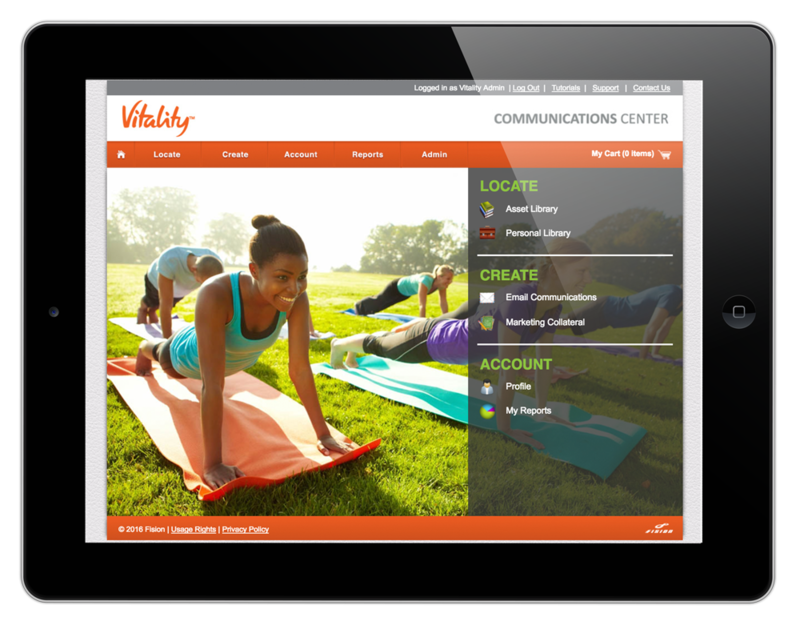 Vitality empowered their entire organization at every level to promote, launch and support their program with personalized co-branded communications. Employers regularly updated content to maintain retention with employees. Fision revolutionized the way Vitality communicates with it’s distributed network boosting central marketing from a reactive demand center to a strategic content generation team. Brokers feature Fision as a launch and promotional tool, establishing a strategic point of difference and capability benefit with prospects. Employer promotion to employees has increased ten-fold yielding a significant increase in adoption and retention.